We were trying out different types of seafood through Fresh Direct while we had a promo, and in particular different kinds of oysters. I liked the idea of creating a dish that featured fresh oysters paired with a different ingredient that would end up tasting like oysters. So I went to the Union Square Greenmarket in search of that unique ingredient for this dish. As luck would have it one of the stands had these gigantic oyster mushroom grown on oak trees. They were incredible looking, so I bought them. Now that I had the right main ingredient for the recipe I needed a recipe! I thought through all sorts of potential classic oyster dishes that would work with the mushrooms as a replacement for the oysters. 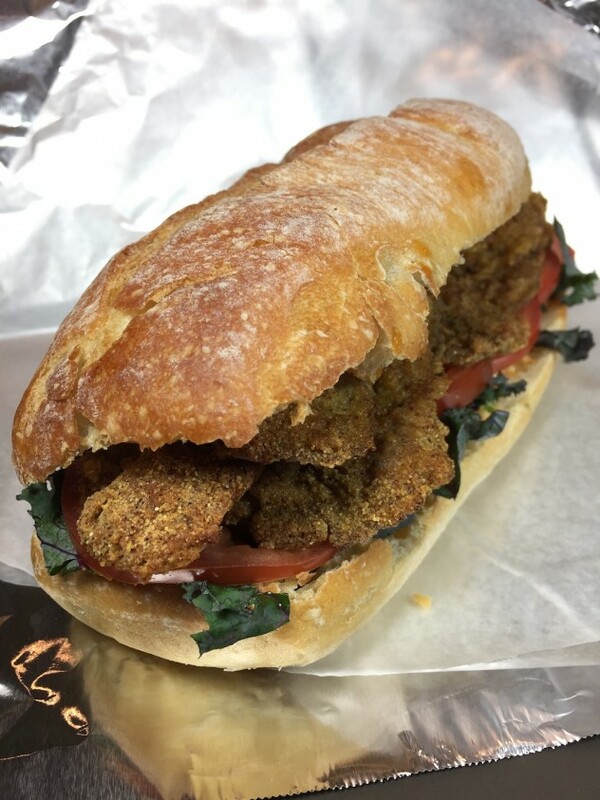 The one that stuck was the Oyster Po Boy. I thought that by taking the mushrooms and cutting them into disks, then battering them in masa harina, frying, and packing into a sandwich roll we would have a delicious alternative (and vegetarian) take on the classic po boy. As it turned out, the oyster mushroom po boy was delicious and worked out great! The sandwich was savory and made for an incredible dinner! 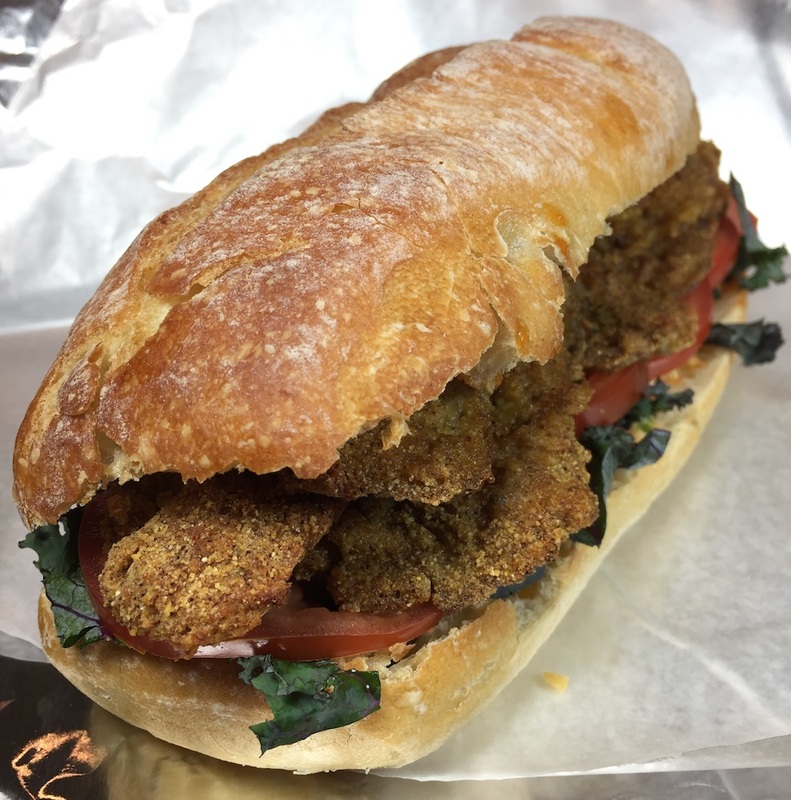 An alternative take on a classic sandwich, this oyster mushroom po boy recipe is so good that it may even be better than the original.